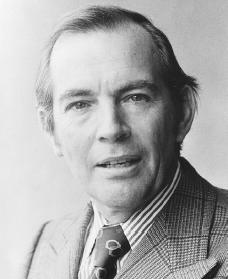 The South African surgeon Christiaan Barnard performed the world's first human heart transplant operation in 1967 and the first double-heart transplant in 1974. Christiaan N. Barnard was born to Dutch descendants on November 8, 1922, in Beaufort West, South Africa. Barnard, along with his three brothers, grew up extremely poor and attended the local public schools. Barnard then went on to the University of Cape Town, where he received a master's degree in 1953. Barnard worked for a short time as a doctor before joining the Cape Town Medical School staff as a research fellow in surgery. With the hope of pursuing his research interests and gaining new surgical skills and experiences, he enrolled at the University of Minnesota Medical School in 1955. After two years of study he received his Ph.D. (doctorate degree) and returned to his native country to embark upon a career as a cardiothoracic (heart) surgeon. Before Barnard left for America, he had gained recognition for research in gastrointestinal pathology (intestinal diseases), where he proved that the fatal birth defect known as congenital intestinal atresia (a gap in the small intestines) was due to the fetus (undeveloped baby) not receiving enough blood during pregnancy. Barnard proved that this condition could be cured by a surgical procedure. Upon his return to South Africa, he introduced open-heart surgery to that country, designed artificial valves for the human heart, and experimented with the transplantation of the hearts of dogs. All of this served as preparation for his 1967 human heart transplant. work that came before him. Of crucial importance was the first use of hypothermia (artificial lowering of the body temperature) in 1952, and the introduction in the following year of an effective heart-lung machine. These advances, combined with other techniques perfected in the 1960s, enabled a surgeon for the first time to operate upon a heart that was motionless and free of blood. After a decade of heart surgery, Barnard felt ready to accept the challenge posed by the transplantation of the human heart. In 1967 he encountered Louis Washkansky, a fifty-four-year-old patient who suffered from extensive coronary artery disease (the arteries around the heart) and who agreed to undergo a heart transplant operation. On December 2, 1967, the heart of a young woman killed in an accident was removed while Washkansky was prepared to receive it. The donor heart was kept alive in a heart-lung machine that circulated Washkansky's blood until the patient's diseased organ could be removed and replaced with the healthy one. In order to fool the body's defense mechanism that would normally reject a foreign organism, Barnard and his team of heart specialists gave the patient large doses of drugs, which allowed the patient's body to accept the new organ. Washkansky's body was not able to defend itself against infection, however, and he died on December 21, 1967, of double pneumonia, a disease effecting the lungs. Despite Washkansky's death, Barnard was praised around the world for his surgical feat. Within a year (January 1968) Barnard replaced the diseased heart of Philip Blaiberg, a fifty-eight-year-old retired dentist. This time the drug dosage was lowered, and Blaiberg lived for twenty months with his new heart. After Barnard's successful operations, surgeons in Europe and the United States began performing heart transplants, improving upon the procedures first used in South Africa. Seven years after Barnard performed his first heart transplant, he made medical history once again when he performed a "twin-heart" operation on November 25, 1974. This time he removed only the diseased portion of the heart of fifty-eight-year-old Ivan Taylor, replacing it with the heart of a ten-year-old child. The donor heart acted as a booster and back-up for the patient's diseased organ. Although Barnard was optimistic about this new operation, which he believed was less radical than a total implantation, the patient died within four months. Rheumatoid arthritis (a severe swelling of the joints), which had plagued Barnard since the 1960s, limited his surgical experimentation in later years. As a result, he turned to writing novels as well as books on health, medicine, and South Africa while also serving as a scientific consultant. Barnard's advances in heart surgery brought him honors from a host of foreign medical societies, governments, universities, and philanthropic (charitable) institutions. He has also been presented many honors, including the Dag Hammarskjold International Prize and Peace Prize, the Kennedy Foundation Award, and the Milan International Prize for Science. Barnard died on September 2, 2001, while on vacation in Paphos, Cyprus. He was seventy-eight. Shortly before Barnard's death, he spoke with Time magazine and left these inspiring words: "The heart transplant wasn't such a big thing surgically," he said. "The point is I was prepared to take the risk. My philosophy is that the biggest risk in life is not to take the risk." Bankston, John. Christiaan Barnard and the Story of the First Successful Heart Transplant. Bear, DE: Mitchell Lane, 2002. Barnard, Christiaan, and Curtis B. Pepper. One Life. London: Harrap, 1970.